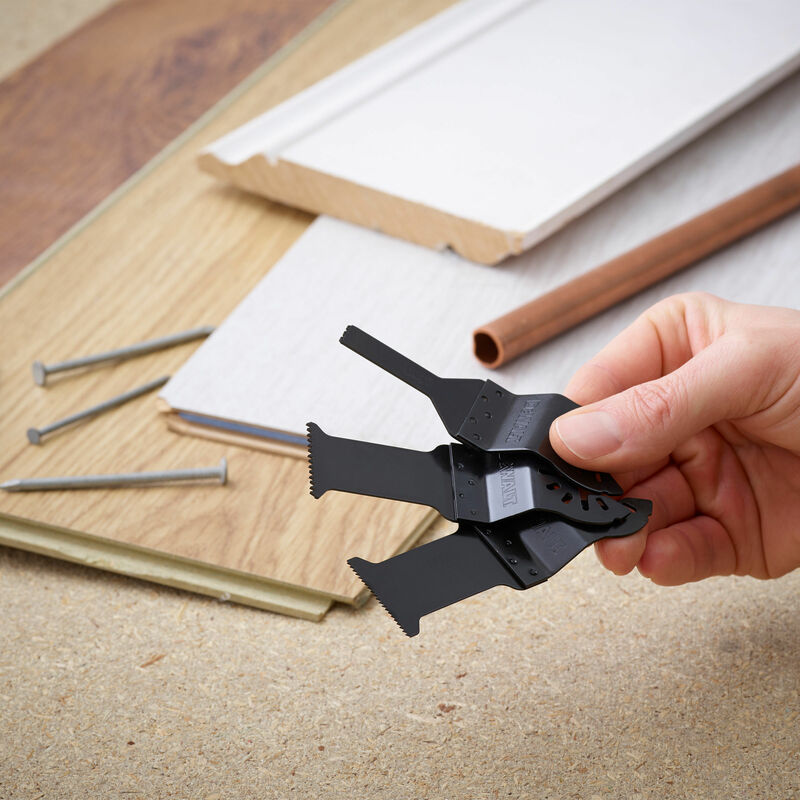 3 piece blade kit for cutting common materials. Wide and narow blades included. 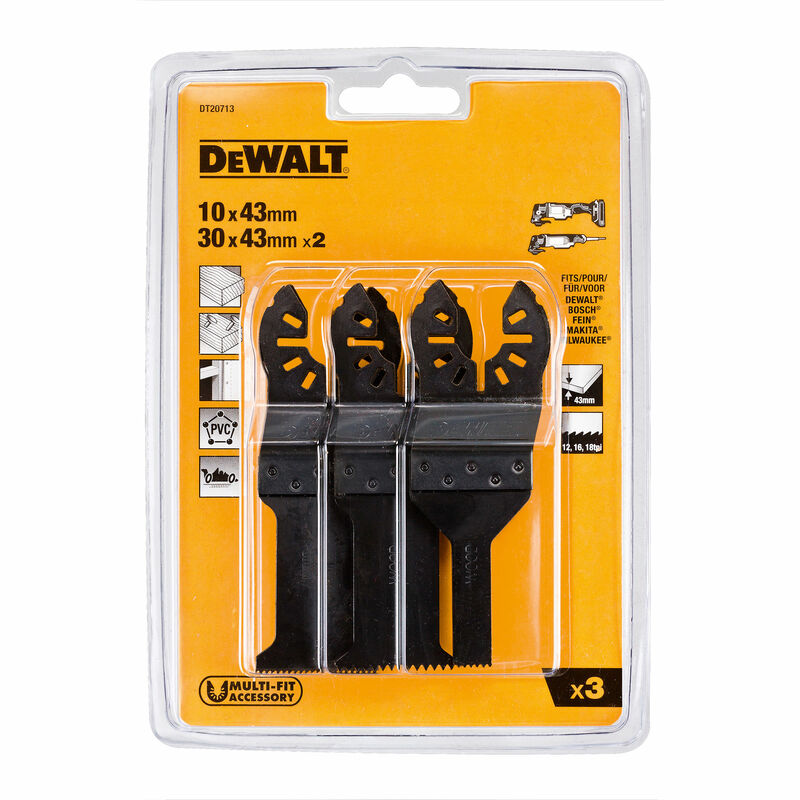 This set is ideal for use on wood, wood with nails, drywall and PVC.